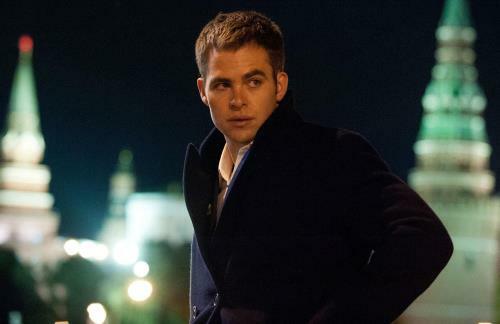 Chris Pine (Star Trek: Into Darkness) takes on novelist Tom Clancy ‘s popular CIA operative in Jack Ryan: Shadow Recruit. The movie goes back to the beginning of Jack Ryan’s career, re-imagining his rise from soldier to analyst to full-fledged operative. He uncovers a Russian plot to crash the U.S. economy with a terrorist attack. Kevin Costner (Hatfields & McCoys) and Keira Knightley (Anna Karenina) also star in the film, as well as Sir Kenneth Branagh (My Week With Marilyn) playing the villain. Kenneth Branagh also directed Jack Ryan: Shadow Recruit, hot off his success helming Thor. This thriller didn’t get quite as good a reception, though. Shadow Recruit garnered mixed reviews from both critics and moviegoers. Richard Roeper called the movie “the very definition of an OK thriller.” And the film earned $50.3 million in theaters, making it the lowest-grossing Jack Ryan movie. The fourth actor to step into Jack Ryan’s busy shoes, Chris Pine follows Alec Baldwin in The Hunt for Red October, Harrison Ford in Patriot Games and Clear and Present Danger and Ben Affleck in The Sum of All Fears, none of which grossed less than $83 million at the box office. and a digital copy, via UltraViolet or iTunes. The DVD just has the movie in standard-definition.